When it comes to home security, most people first think of locks, cameras, and more locks. However, one of the best mechanisms for keeping unwanted visitors out of your home or business is to install a security door. While screen doors or “fly screens” are quite common in Australia, unfortunately, they can be broken into very easily. However, installing a security screen door can drastically increase the security of home by making it much harder for thieves to break in. They also provide some level of protection against bushfires, high winds, and other weather events. Why are security doors and screens so secure? In most cases, security doors open outwards rather than inwards, meaning that the door must be pushed or forced outwards to open. As you can likely imagine, this is much more difficult that trying to kick down a door that opens inwards and takes a lot more time and energy to do. Therefore, this often grants homeowners or neighbours time to realise what is happening and call the police. 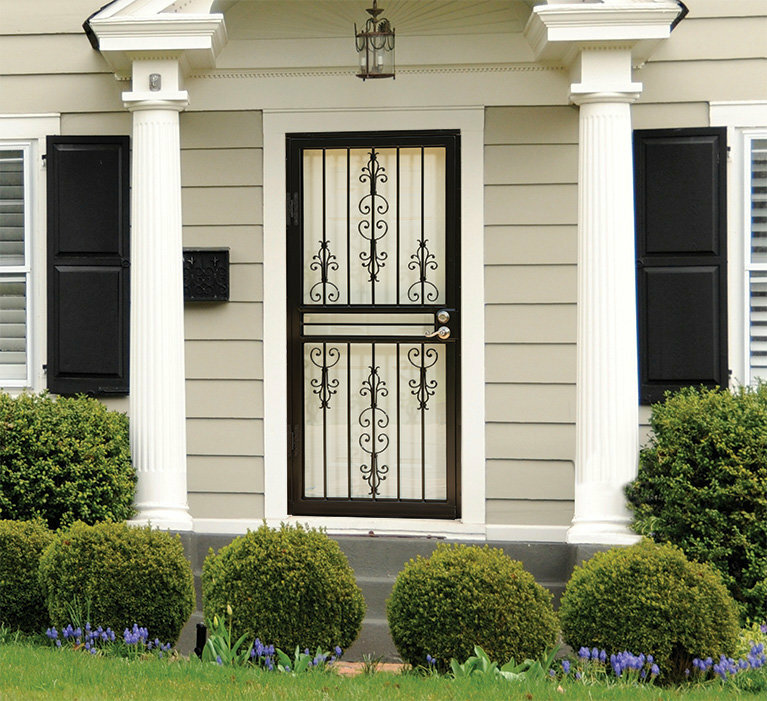 What makes a good security door? Security doors are generally made from either aluminium (which tend to be less effective) or metal doors which are more effective. Both options have their own variety of materials for the infill. Steel bars, decorative motifs, or grilles offer the greatest protection against home invaders; however, stainless steel mesh and structural grade aluminium perforated sheets are high-quality options too. The final variable to consider is the lock on the door. Without a high-quality lock, most doors can be easily broken into. Therefore, ensuring that your security door is fitted with a lock to suit your requirements is vital. For more information on the types of security doors and locks that will suit your needs, as well as more information on improving your home security in general, contact Five Star Locksmiths today on 1800 348 378. Our team of locksmiths will be happy to chat with you about improving the safety of your home, family, and valuables.